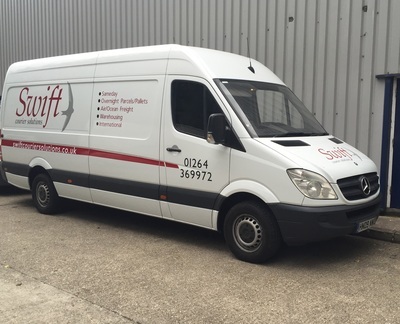 We are delighted to introduce our new 3.5t Luton Curtainside van, this vehicle has already been in high demand, this is ideal for larger freight or items with no unloading facilities, with its lightweight body and lightweight tail lift we can legally carry over 1 tonne, feel free to contact us for a no obligation quote today. 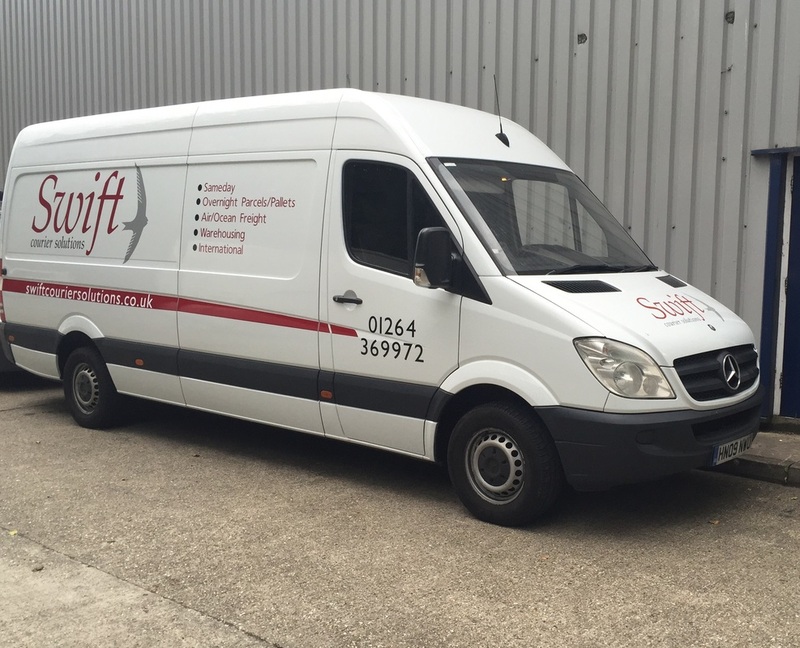 The Swift team have been extremely busy of late securing our latest expansion, we have now opened a depot in Liphook, GU30 7RR on the 1st August 2016, a merger with Taylor's Transit Services who have been trading in the area for over 10 years, with an important customer base this was an important step for both companies to keep up with the rapid change in transport, giving both as one more access to different vehicle types and various services which the other wasn't offering, this was an opportunity that couldn't be missed, with the new depot just off of the A3, it has a great road network into the Capital and to the south Coast, existing customers will benefit immediately, we cannot wait to get started and meet our new clients. ﻿Having over the last few years, we have rapidly outgrown our current office space, we have now completed the build of our new and improved 70sq metre offices, this has already improved the way we operate and will create room for expansion. 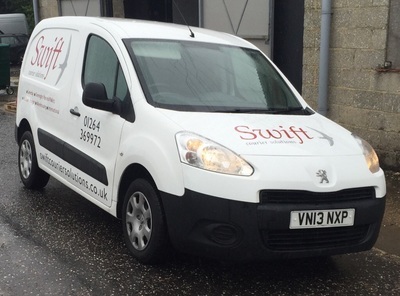 We have been working alongside Brandall Design to re design our existing logo, we are extremely happy with the result they have done, our vehicles now stand out from the rest! Join us at Basingstoke Business Expo 2015! 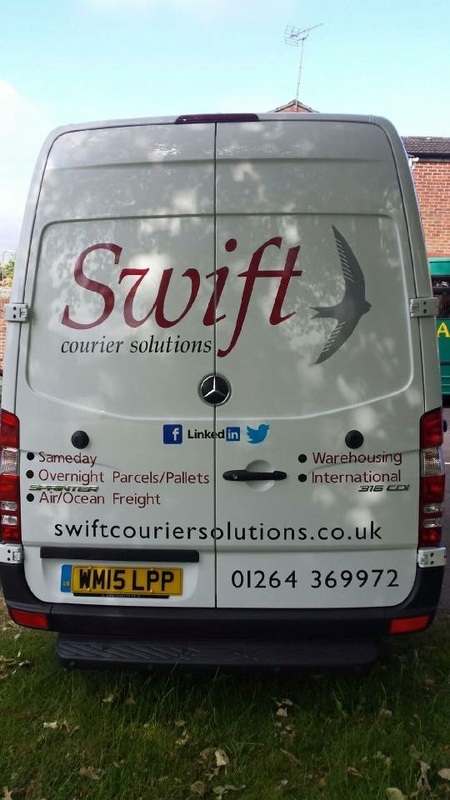 Come and join Swift Courier Solutions Ltd on stand 23 and see what we have to offer you, at the region’s biggest business to business exhibition taking place at The Apollo Hotel on Thursday 16 July 2015, between 10.00am – 3.00pm. There will be over 400 businesses attending the show, this is a brilliant event to gather new contacts that could benefit your company in the near future. Don’t miss the chance to grow your connections by getting involved with workshops and speed networking throughout the day. Listen to keynote speakers and become engaged with ideas and inspiration for your business. We are also running a competition, and you could be the winner of a Kindle Fire, make sure you drop by our stand to enter. Terry Elliott has been waiting 4 years with Swift Courier Solutions Ltd to be put through his LGV test, showing pride and care in his job, Terry and Swift quickly decided this would be only good for the company, since then he hasn't looked back, he was so delighted passing his test, even more so passing first time, since starting with Swift in April 2011 he has shown his real professionalism within the transport industry, being put to the test already in the Rigid LGV, showing no signs of nervousness. Well done Terry, fully Deserved! Keep on Trucking !! Swift Courier Solutions Ltd Director Phillip Robins and International Sales Manager Carl Newcombe visited this years' Multimodel which is now in its ninth year, Multimodal is the UK and Ireland’s premier freight transport, logistics and supply chain management event. Shippers and cargo owners visit to find ways of moving cargo more efficiently and to meet existing and new suppliers. We Look forward to visiting the 2016 Exhibit next May.